The Hamptons, a series of scenic waterfront villages lining Long Islands’ eastern end, plays host to an upscale New York City crowd between the months of May and October. But the region boasts more than just its see-and-be-seen summer scene. The area has long lured farmers and fishermen, artists, vintners, chefs, builders, and shopkeepers. And in the fall, even after the beach-going the crowds diminish, the region's pristine beauty and charm endure. The Westhampton Beach Performing Arts Center hosts performances from well-known musicians and comedians year round. Plus, the center offers afternoon artists’ talks, conversations with local chefs, and chamber music recitals. 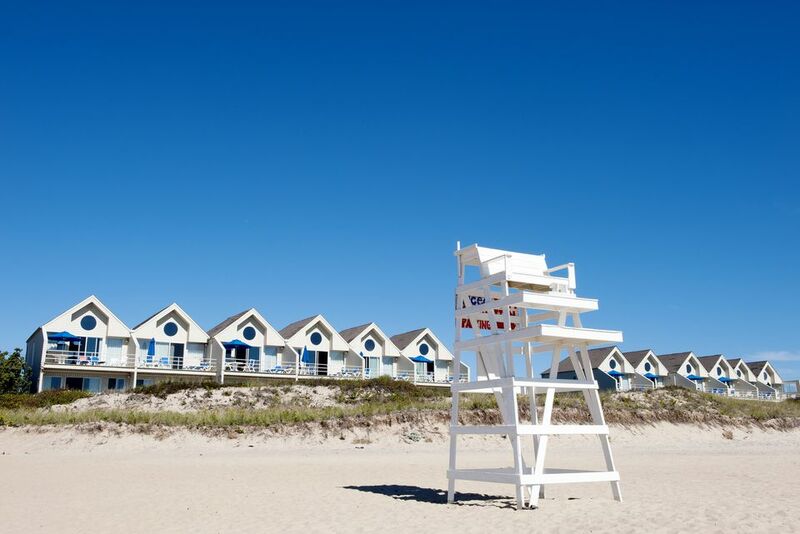 The town of Westhampton also offers a bustling main street of shops and restaurants and forms part of Dune Road, an oceanfront residential street boasting impressive mansions and seafood restaurants. You can't miss the long, shed-like Parrish Art Museum if you're driving along Montauk Highway in Water Mill. The museum features works by both locals (many of whom discovered the scenic light and landscape of the East End after featured artist William Merritt Chase established the Shinnecock Hills Summer School of Art in 1891), and notables including Willem de Kooning, Jackson Pollock, ​and Roy Lichtenstein. Head to the Elizabeth A. Morton National Wildlife Refuge for a local’s look at the East End, where walkers and bird lovers meander near the seashore off Noyac Road, en route to Sag Harbor. Or, further east, hike the shifting sand dunes at the Hither Hills State Park Walking Dunes Trail located on the north side of Route 27 just before Gurney’s Inn in Montauk. These very sand dunes mimicked the desert in the 1921 silent film, "The Sheik," which starred Rudolph Valentino. In fall, local farm stands offer colorful winter squash, pumpkins, apples and a variety of locally-coveted home-made pies, honey, and preserves. "Mushroom Dave" sells more than 200 varieties of naturally grown produce along with his certified organic mushrooms, pies and fire-roasted chilies at Open Minded Organics on Butter Lane in Bridgehampton. Other favorite farm stands include North Sea Farms (Southampton), Halsey’s Farm Stand (Water Mill), Country Garden Farm Stand (Bridgehampton), and Vicky’s Veggies (Amagansett). Bridgehampton's Channing Daughters winery serves notable Mosaico whites and a slightly sparkling natural Pet-Nat wine year-round. Arrive by 4:30 p.m. for a tasting amongst sculptures by the vineyard's owner, Walter Channing. In Sagaponack, the Wolffer Estate Vineyard serves award-winning wines and hosts a variety of live performers during their Candlelight Fridays series from October to Memorial Day. Since 1993, the annual Hamptons International Film Festival and the ancillary parties, panels and conversations that come with it have been the highlight of autumn in the region. The October event is a chance to be amongst the first to view upcoming films, as well as an opportunity to be among the throngs who mingle with industry insiders. Screenings take place at some of the most iconic local venues: The Bay Street Theater in Sag Harbor, Guild Hall in East Hampton, and the Southampton United Artist Theater. Hook Mill, Gardiner’s Mill, and Pantigo Mill are as much a part of the village’s historic ambiance as its agrarian heritage. All three mills date from the first decade of the 19th century. Although all the interiors are officially closed off-season, it’s possible to make an appointment to see them by calling the Home Sweet Home Museum, adjacent to the Pantigo Mill, in advance of your visit. Internationally acclaimed textile designer Jack Lenor Larsen invites the public to enjoy his 16-acre, art-studded landscape in East Hampton. The artistic integration of more than sixty contemporary sculptures, including pieces by Dale Chihuly, Buckminster Fuller, and Willem de Kooning, set among conifers, trees, ornamental grass, and perennials are particularly appealing in fall. The nation’s fourth-oldest lighthouse, built in 1796, is set overlooking the Atlantic Ocean and Block Island Sound on the eastern tip of Long Island's South Fork. The 110-foot-tall structure has a beacon that flashes every five seconds and can be seen for 19 nautical miles. Tours of the lighthouse and adjacent keeper's cottage, built in 1860, are available daily, until mid-October, and weekends, until Thanksgiving, culminating with a well-lit (3,000 lights), “Christmas at the Lighthouse” event.